Some guests waiting for the opening of the conference: From left to right: Adv. Marivate Rendani Patience (South Africa), Dr. Paulo Tjipilica (Angola), Dr.A.Abuzaid A. Muhamed (Sudan), Abdoulaye Affadime (Tchad), Fozia Amin, President of the African Ombudsmen and Mediators Association(AOMA) (Ethiopia), and Edouard Nduwimana (host). The government says that international official meetings that take place in Burundi prove concerns over peace and security are unfounded. Burundi has hosted this Thursday the conference of African ombudsmen, and the government uses the event as evidence against claims there is no peace and stability in Burundi. 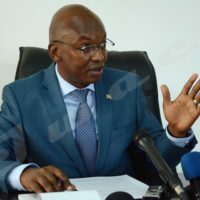 Burundi Ombudsman, Edouard Nduwimana, says the most important benefit Burundi will receive from hosting such a conference is that the image of the country will be bolstered at the international level. “There are certain Burundians who travel around the world to claim that in Burundi there is only death and destruction”, says Nduwimana. Hosting the conference is an opportunity for the participants to “see that Burundi is a stable and peaceful country”, says Burundi Ombudsman and former controversial Minister of Home Affairs. 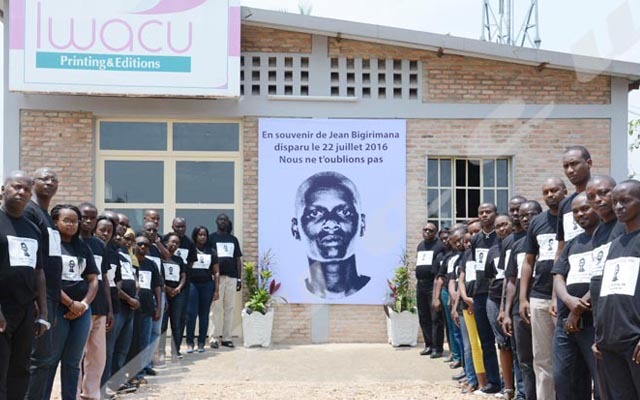 The international organisations, national political and rights actors often express their concern over the lack of security and violation of human rights in Burundi. They say over 400 thousands Burundians who feared for their security have fled to neighbouring and other countries from 2015. The government says the numbers of refugees are exaggerated by UN Refugee Agency and other organisations. It also contests report of instability in Burundi. “Contrary to false information spread in some parts of the world, of which secret goal is to destabilize Burundi, we want to reassure our distinguished hosts that all the country’s institutions are working”, says Joseph Butore, Second Vice-President of Burundi. “There is peace and tranquility not only in the capital Bujumbura but also throughout the national territory”, said Butore as he led the opening of the conference of African ombudsmen and mediators. The conference was on “Peace, and the role of national mediation institutions in peacebuilding and conflict prevention in the world”. Only around ten African countries were represented either by their ombudsmen or delegates at the conference. The government of Burundi has put effort in hosting events that bring people from the East African Community and other parts of the African continent. The goal is to counter different reports of instability in Burundi. The government has also managed to get back home some important Burundi personalities and other refugees who fled the violence of 2015 and is now tirelessly calling other refugees to return.